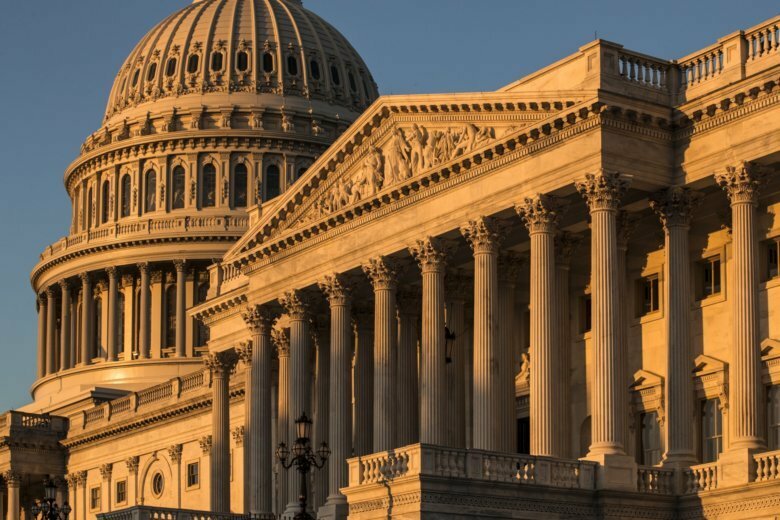 As word spread Wednesday of suspicious packages addressed to prominent political figures and at least one media outlet, some members of Congress said the unsettling news signals a need to tone down political differences ahead of the midterm elections. 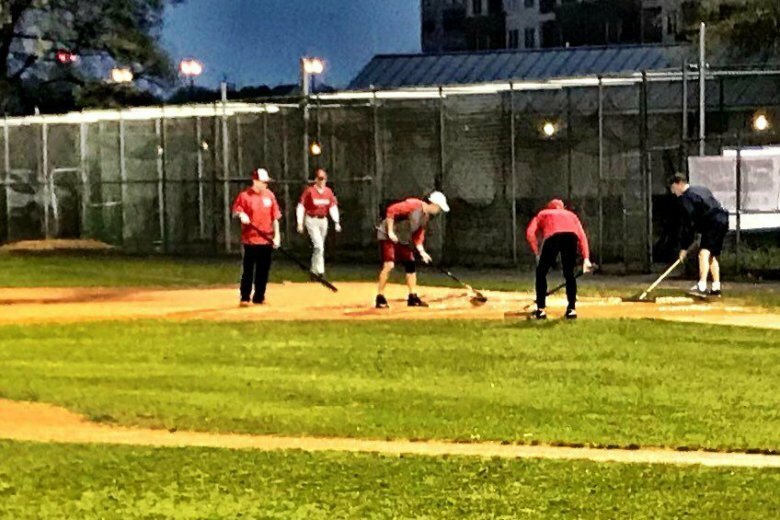 Steve Scalise, the House majority whip who was shot at a Republican baseball practice a year ago, fielded a ground ball and threw out the first batter of the annual congressional baseball game Thursday. 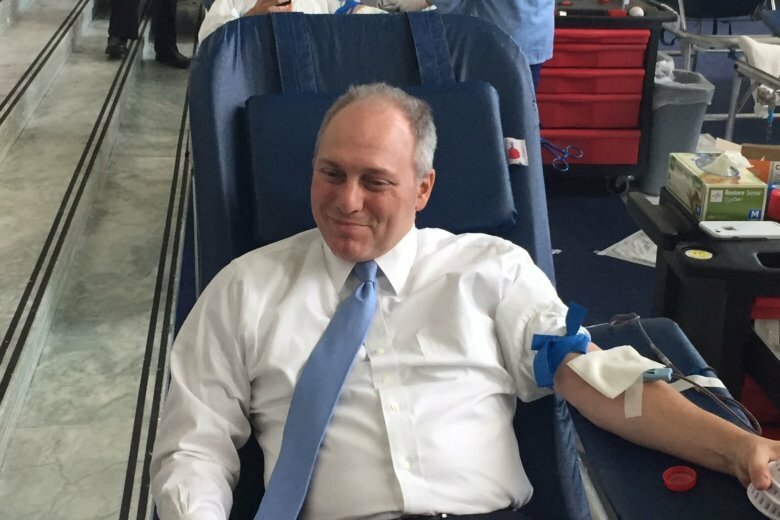 House Majority Whip Steve Scalise, who was shot a year ago during practice for the Congressional Baseball Game, marked the anniversary by donating blood during the annual Congressional Blood Drive. A year to the day after the Congressional baseball shooting, Steve Scalise and fellow Louisianian Cedric Richmond return to the spotlight at Nationals Park. 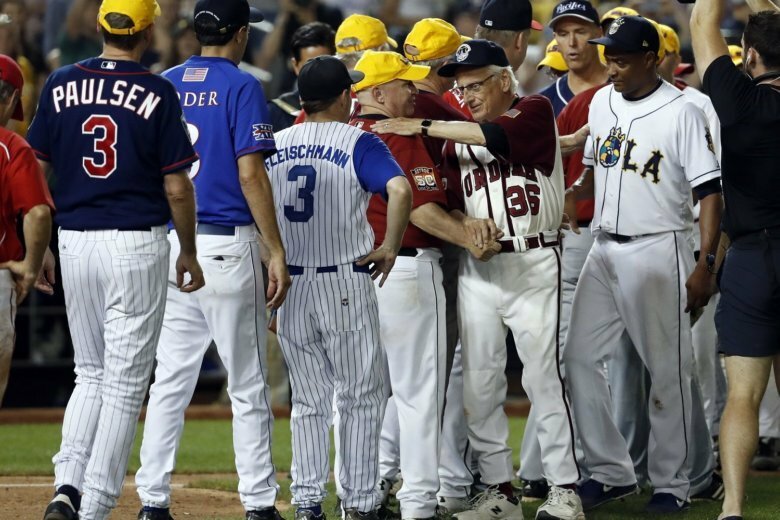 The coach of the Republican baseball team says he personally asked President Donald Trump to attend the annual game on Thursday, the anniversary of the shooting rampage that wounded the third-ranking GOP leader and others. 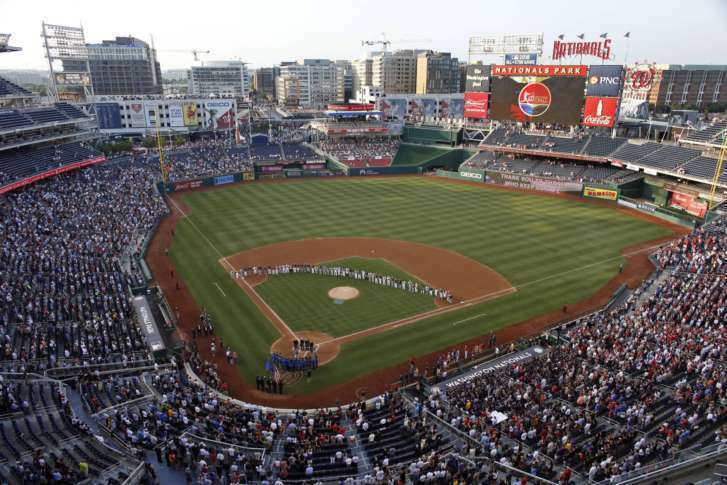 The annual D.C. bipartisan showdown is set as tickets go on sale for the Congressional Baseball Game on June 14. 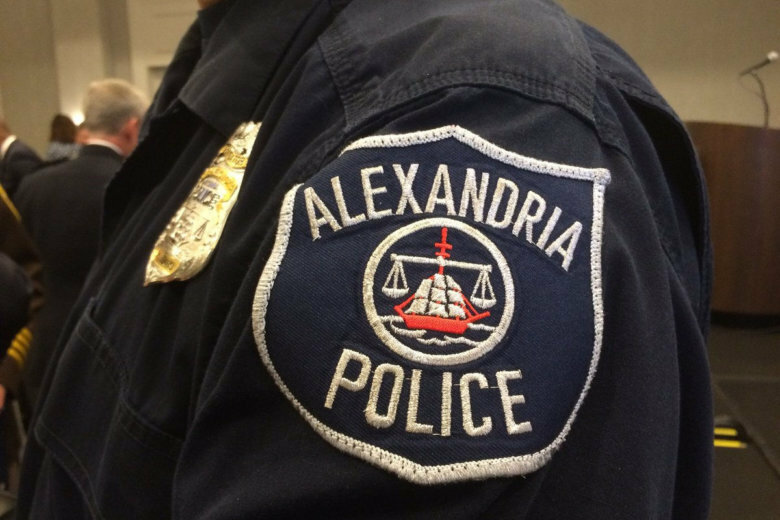 The Alexandria Chamber of Commerce recognized 20 police and fire officials who responded to the June 14 shooting at a baseball where Republican members of Congress were practicing for a charity baseball game where House GOP Whip Steve Scalise was critically injured. 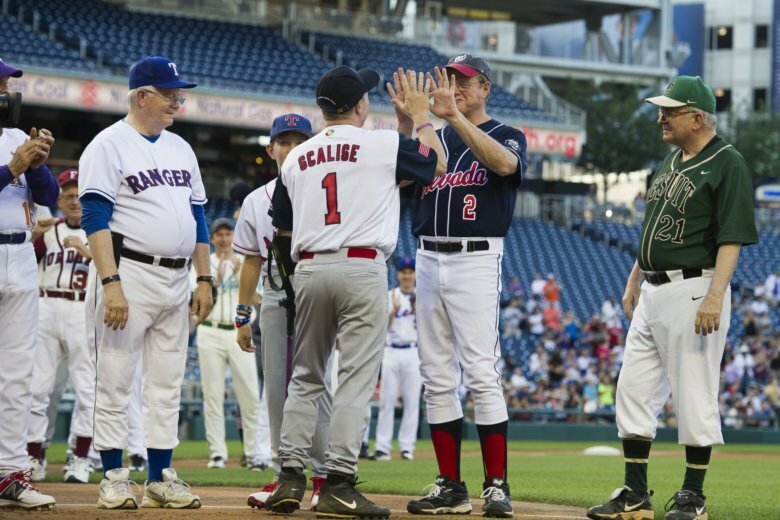 Rep. Steve Scalise made a triumphant return to the House last week, more than three months after he was wounded while practicing for an annual charity baseball game featuring members of Congress. 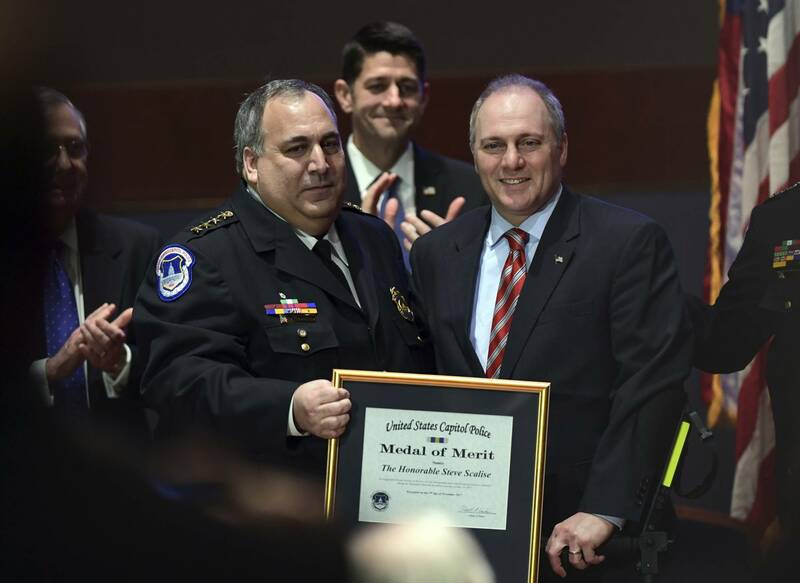 Alexandria’s top prosecutor says police were legally justified in using deadly force against the man who shot House Majority Whip Steve Scalise and four others during a congressional baseball practice in June — an attack the prosecutor called an act of terrorism. The report says officers fired 40 rounds responding to gunman James T. Hodgkinson. 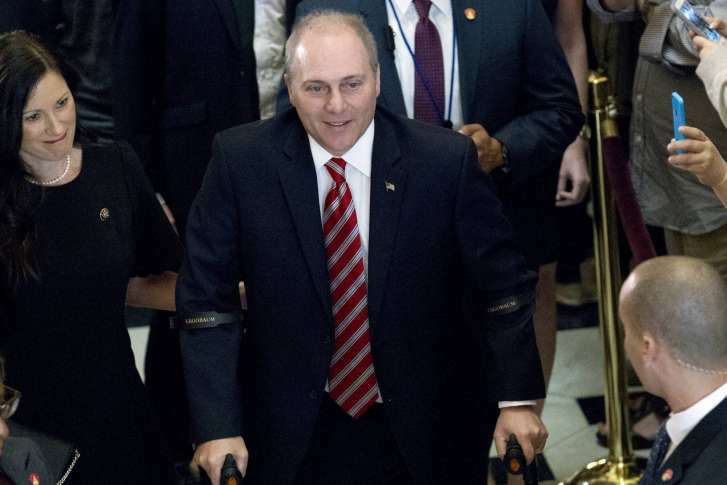 House Majority Whip Scalise returns to work Thursday three months after being shot. The 51-year-old congressman was struck in the hip, and the bullet tore into blood vessels, bones and internal organs. 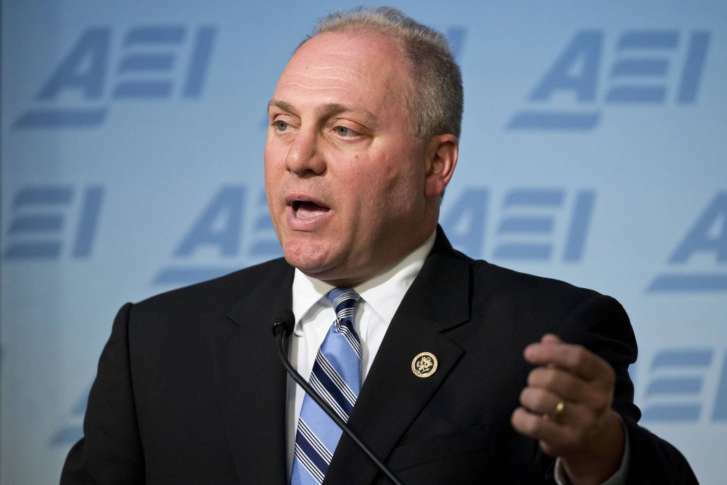 House Majority Whip Steve Scalise has been released from a Washington hospital after being wounded during a June 14 shooting in Alexandria, Virginia. 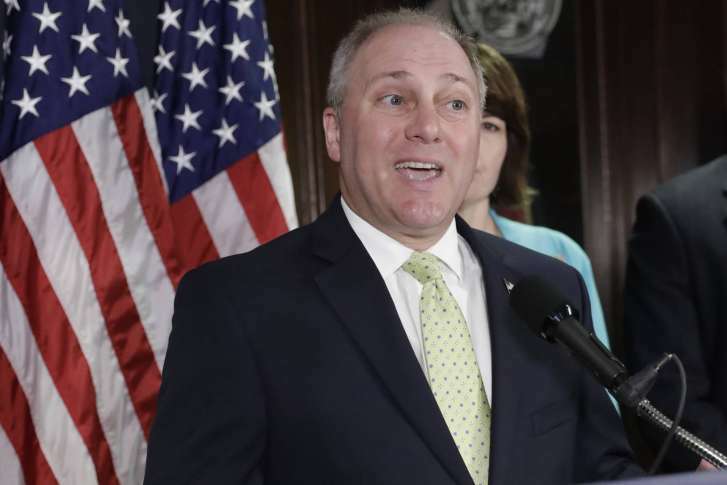 House Majority Whip Steve Scalise underwent another surgery Thursday for wounds he sustained in a shooting at the congressional baseball game practice last month, MedStar Washington Hospital Center announced Thursday. 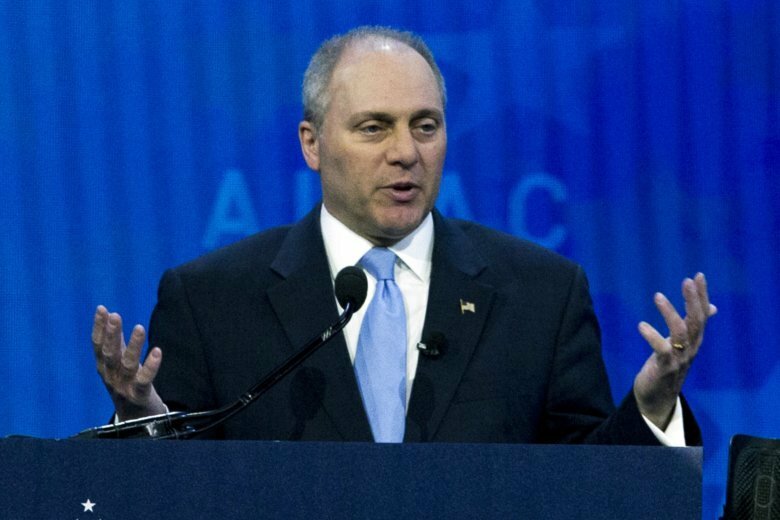 House Majority Whip Steve Scalise, grievously wounded in a shooting at a baseball practice last month, underwent surgery for infection and remains in serious condition in the intensive care unit at a Washington hospital, the medical facility said Thursday.